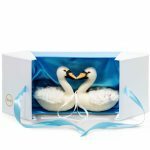 These wedding doves are decorated with a pattern of silver threads while their wings, tail and breast are decorated with brilliant crystals from Swarovski and their beaks are made in the traditional wedding colour of blue. 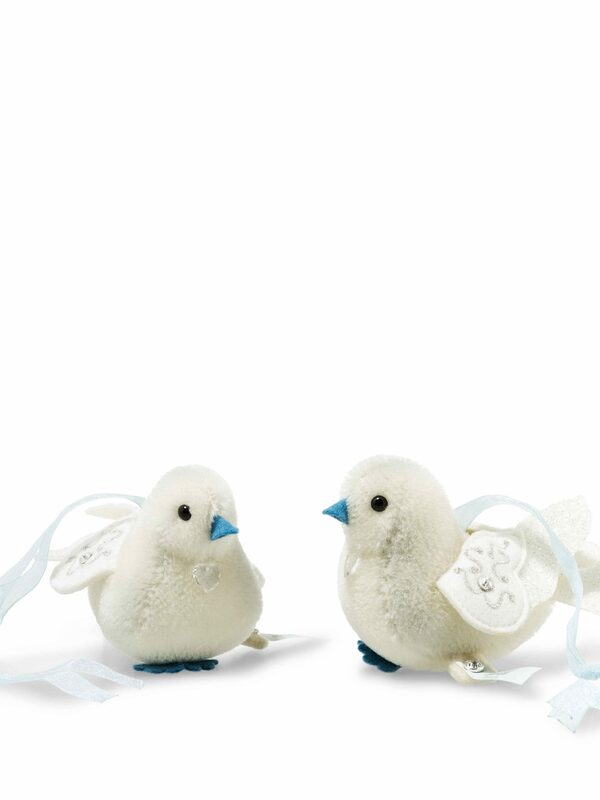 The doves can be attached or hung with a beautiful satin ribbon. 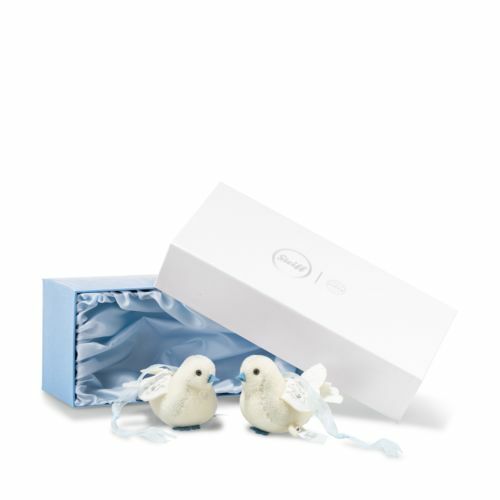 This romantic set of doves is presented in the illustrated white and blue gift box.